The MPAA has submitted its 2018 list of foreign trade barriers to the U.S. Government. The document reveals that Hollywood is concerned that Australia is considering implementing fair use exceptions, allowing circumvention of geo-blocking, and expanding safe harbor provisions for online services. In addition, the MPAA notes that stiffer penalties are required to deter piracy. Last year, the Australian Government’s Productivity Commission published a Draft Report on Intellectual Property Arrangements, recommending various amendments to local copyright law. The Commission suggested allowing the use of VPNs and similar technologies to enable consumers to bypass restrictive geo-blocking. It also tabled proposals to introduce fair use exceptions and to expand safe harbors for online services. Two months ago the Government responded to these proposals. It promised to expand the safe harbor protections and announced a consultation on fair use, describing the current fair dealing exceptions as restrictive. The Government also noted that circumvention of geo-blocks may be warranted, in some cases. While the copyright reform plans have been welcomed with wide support from the public and companies such as Google and Wikipedia, there’s also plenty of opposition. From Hollywood, for example, which fears that the changes will set back Australia’s progress to combat piracy. A few days ago, the MPAA submitted its 2018 list of foreign trade barriers to the U.S. Government. The document in question highlights key copyright challenges in the most crucial markets, Australia included. According to the movie industry group, the tabled proposals are problematic. “If the Commission’s recommendations were adopted, they could result in legislative changes that undermine the current balance of protection in Australia. These changes could create significant market uncertainty and effectively weaken Australia’s infrastructure for intellectual property protection,” the MPAA writes. “Of concern is a proposal to introduce a vague and undefined ‘fair use’ exception unmoored from decades of precedent in the United States. 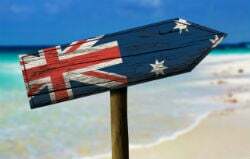 Another proposal would expand Australia’s safe harbor regime in piecemeal fashion,” the group adds. The fair use opposition is noteworthy since the Australian proposal is largely modeled after US law. The MPAA’s comment suggests, however, that this can’t be easily applied to another country, as that would lack the legal finetuning that’s been established in dozens of court cases. That the MPAA isn’t happy with the expansion of safe harbor protections for online service providers is no surprise. In recent years, copyright holders have often complained that these protections hinder progress on the anti-piracy front, as companies such as Google and Facebook have no incentive to proactively police copyright infringement. Moving on, the movie industry group highlights that circumvention of geo-blocking for copyrighted content and other protection measures are also controversial topics for Hollywood. “Still another would allow circumvention of geo-blocking and other technological protection measures. Australia has one of the most vibrant creative economies in the world and its current legal regime has helped the country become the site of major production investments. “Local policymakers should take care to ensure that Australia’s vibrant market is not inadvertently impaired and that any proposed relaxation of copyright and related rights protection does not violate Australia’s international obligations,” the MPAA adds. Finally, while it was not included in the commission’s recommendations, the MPAA stresses once again that Australia’s anti-camcording laws are not up to par. Although several camming pirates have been caught in recent years, the punishments don’t meet Hollywood’s standards. For example, in 2012 a man connected to a notorious release group was convicted for illicitly recording 14 audio captures, for which he received an AUS$2,000 fine. The last suggestion has been in the MPAA’s recommendations for several years already, but the group is persistent. In closing, the MPAA asks the US Government to keep these and other issues in focus during future trade negotiations and policy discussions with Australia and other countries, while thanking it for the critical assistance Hollywood has received over the years. MPAA’s full submission, which includes many of the recommendations that were made in previous years, is available here (pdf).